As soon as this book’s idea was posed, I was both excited and dubious. The Eros and Psyche story in all its iterations, whether it be East of the Sun, West of the moon, or the fairytale of the Princess and the Pig, there’s always the point I dislike: when the girl breaks her promise, looks at the guy, and bam, punishment falls. They’re always separated for the rest of the book. The story follows the girl’s quest for redemption, and no matter how awesome the guy was, we don’t see him again until the end. So I was dubious of how Heidi might handle this story. Her guys are always charming, and I couldn’t see her separating the main characters for half the book. First, the guy and girl are both under a mirror curse. The girl is ugly, but kind and has healing powers. Her twin sister is beautiful, but cruel. The more cruel/kind they are, the more beautiful/ugly they become. The twin princes are also under a mirror curse. One becomes a giant serpent if anyone looks at him. The other becomes a serpent if nobody is looking at him. There’s some interesting fine print in the mirror curses that come to light as the story goes on. The dreaded separation part isn’t as long as I feared, and is actually very logical. The whole story has a very mythological feel, with gods and demigods roaming around and causing trouble. 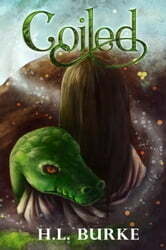 The story pays lots of tribute to its Greek myth roots, including sirens, gorgons, and dragons. Ultimately I was satisfied with the way things turned out. The journey of the “bad guy” siblings turn out almost as interestingly as the heroes. And the giant serpent winds up almost endearing by the end. If you’d like to read a fun new twist on an ancient fairytale, then grab this book. It’s heartwarming!